When Adeline, a wealthy art student, chances upon a young man from the Midwest known only as Baby in a shady East Village squat, the two begin a fiery friendship that propels them through a decade of New York life. In the apartments and bars of downtown Manhattan to the infamous nightclub The Limelight, Adeline is Baby’s guardian angel, introducing him to a city not yet overrun by gentrification. They live through an era of New York punctuated by the deaths of Warhol, Basquiat, Wojnarowicz, and Tompkins Square Park. Adeline is fiercely protective of Baby, even bringing him home with her to Los Angeles, but he soon takes over his own education. Once just a kid off the bus from Wisconsin, Baby relishes ketamine-fueled clubbing nights and acid days in LA, and he falls deep into the Club Kid twilight zone of sexual excess. As Adeline develops into the artist she never really expected to become and flees to the nascent tech scene in San Francisco, Baby faces his own desire for artistic expression and recognition. He must write his way out of clubbing life, and their friendship, an alliance that seemed nearly impenetrable, is tested and betrayed, leaving each unmoored as the world around them seems to be unraveling. 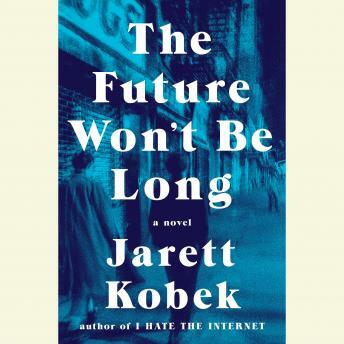 Riotously funny and wise, The Future Won't Be Long is an ecstatic, propulsive novel coursing with a rare vitality, an elegy to New York and to the relationships that have the power to change—and save—our lives.